FL Licensed Internal Medicine Physician. Board Certified by American Academy of Aesthetic Medicine. Member of American Academy of Anti Aging Medicine. Graduate of St. George's University School of Medicine, Grenada, West Indies. Graduate of Internal Medicine Program at Long Island College Hospital, Brooklyn, NY. 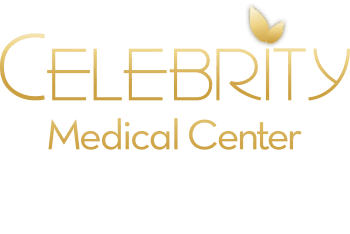 Certified Sculptra Provider, Botox, Juvederm, Voluma. Undergoing Certification in Y-Lift procedure. Certified in providing P-Shot, O-Shot and Vampire Wing Lift Procedures. Mistletoe therapy, IV/Parenteral Clinical Nutrition Certified. BHRT - Bioidentical Hormone Replacement Therapy, including highly sought after Pellet therapy provider. PRP and Stem Cell provider. CHEK (Corrective Holistic Exercise Kinesiology) Practitioner and Program Designer. FMS (Functional Movement Systems) Certified. Bioforce HRV Pro Trainer Certified. Dr. Eldar is a physician with undying genuine care for his clients. The numerous certifications that he obtained show his constant search for answers and solutions to help people with their needs and goals. A workaholic by nature, a lot of times, he needs to be reminded to take a little R&R himself. You will feel happy and safe in the hands of Dr. Eldar and his team. You will feel that you finally arrived at the place that you were searching for a long time. FL Licensed Internal Medicine Physician. Dr. Behani is a physician of great bedside manners and knowledge in general. She is genuinely caring and soft-spoken. You will feel like you have known her for years and she is your best friend and advocate.